Customize this home in sought after San Pablo Creek - ICW Neighborhood. Large lot on Cul-de-Sac street. Features: Spacious Living-Dining room with vaulted ceilings that overlooks patio and large rear yard. Kitchen with Breakfast nook. Private Master Bedroom Suite. Master bathroom suite with walk-in shower garden tub and walk-in closet. Enjoy your favorite beverage on front porch or spacious rear patio. Split Plan with two full sized bedrooms and shared guest bathroom. Laminate flooring in main areas. Located close to Schools (A-Rated Elementary School), UNF, FSCJ-South Campus, Atlantic Blvd and Beaches, I-295, JTB, Tinsel-town, St. Johns Town Center and MORE! This is a Fannie Mae HomePath property. Seller will pay: 1. Real Estate Commission 2. Provided the buyer uses the seller's title company the seller will pay for the Owner's Title Policy. ALL OTHER CLOSING COSTS ARE CONSIDERED TO BE BUYER CLOSING COSTS AND IF PAID BY THE SELLER WILL BE CONSIDERED A SELLER CONCESSION. PLEASE MAKE SURE NAMES ON OFFER MATCH FULLY WHAT IS ON THE BUYER'S PHOTO I.D. OR DRIVER'S LICENSE. CASH OR RENOVTION LOANS (i.e. FHA 203K, Homestyles Conv reno loans) ONLY DUE TO CONDITION. Any closing costs checked for the seller to pay in Paragraph 9 of the NEFAR Purchase and Sale Agreement will be presented to the seller as a seller concession. This could affect your buyer's offer, particularly in a multiple offer situation. Any Seller concessions should be put in Section 38 of the Fannie Mae Real Estate Purchase Addendum (REPA): • Seller will contribute up to $________ towards buyer closing costs, points, and prepaids. In the event that the buyer's lender restricts the allowable Seller contributions toward Buyer's closing costs, Seller's actual and total contribution shall be limited to the allowable amount. • If buyer selected their own settlement vendor in section 10f: Seller will contribute up to $0. towards buyer closing costs, points, and prepaids, excluding title insurance. In the event that the buyer's lender restricts the allowable Seller contributions toward Buyer's closing costs, Seller's actual and total contribution shall be limited to the allowable amount. SELLER WILL NOT PAY STATE DOC STAMPS ON DEED - BUYER MUST PAY (contact Listing Agent for Details). Fannie Mae pays only the commission and tax prorations unless otherwise agreed in section 38. All other costs are the responsibility of the buyer. Fannie Mae is a congressionally chartered corporation and is exempt from realty transfer taxes pursuant to 12 U.S.C. 1723a(c) (2). If the state or municipality does not recognize this exemption then it is the responsibility of the buyer to pay the cost. KEYS WILL NOT BE RELEASED AT CLOSING. Buyer must wait for Fannie Mae Approval to release keys (receipt of closing documents and final Wire). Buyer must confirm GLA size, utilities, lot size - anything of importance to buyer. If applicable: amenities, costs of club memberships, covenants and restrictions, HOA requirements and/or restrictions. 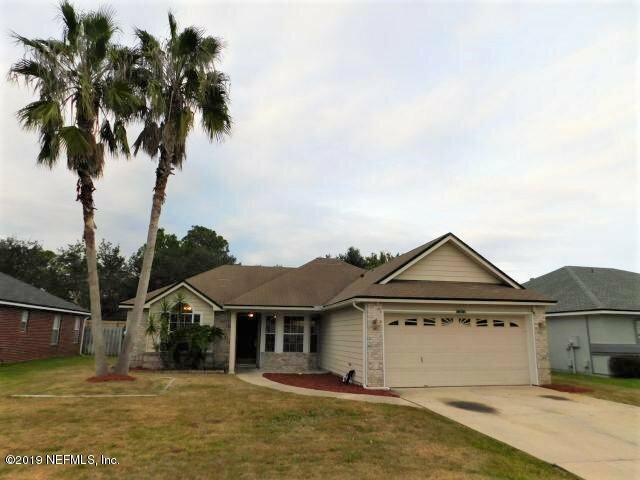 Listing courtesy of FLORIDA REO SERVICES OF JAX INC. Selling Office: FLORIDA REO SERVICES OF JAX INC.